As far as I can tell, small and/or new photography festivals are the best. Not having had the chance to turn into a circus might just be the best thing for any festival. I probably shouldn’t even write about Cortona on the Move (COTM), so it can remain the precious gem it is. 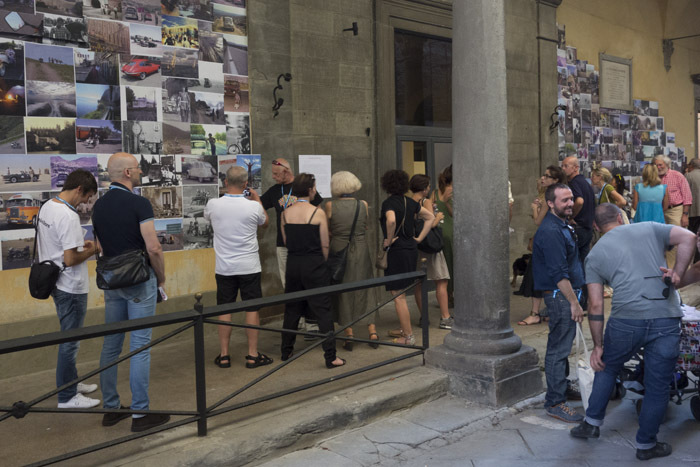 Featuring exhibitions, portfolio reviews, workshops, and talks/presentations, all in what must be one of the most beautiful settings on this planet, COTM is fully centered on looking at and enjoying photography (and not on buying/collecting or on trying to define the medium in some way that stops making sense the day after). Having been invited to give a talk, I had the chance to see this year’s festival in person. 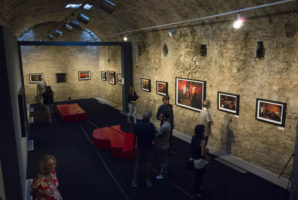 Much like PhotoIreland, COTM utilizes various buildings all over town to showcase the photography chosen by the curators. The town of Cortona is fairly small, so it’s easy to simply walk around and visit the different venues. Many of side streets provide rather steep climbs – who knew looking at photography can be part of a healthy dose of exercising? Much to the credit of the organizers of the festival, careful attention was being paid to the presentation of the work – something I always look out for. 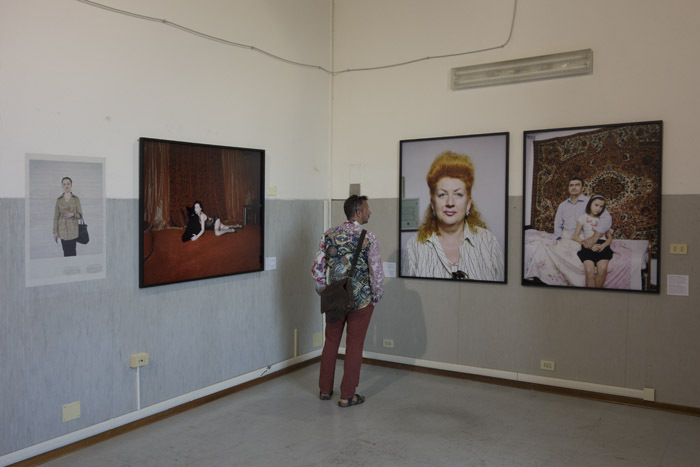 An exhibition, after all, is not just a set of pictures on a wall (just like a photobook isn’t just a collections of pictures on paper). You have to do work to engage with the viewers, meaning you have to pick the right materials (surfaces to print on, frames, etc. ), and you then have to display the images in such a way that they are being shown in the best possible light. 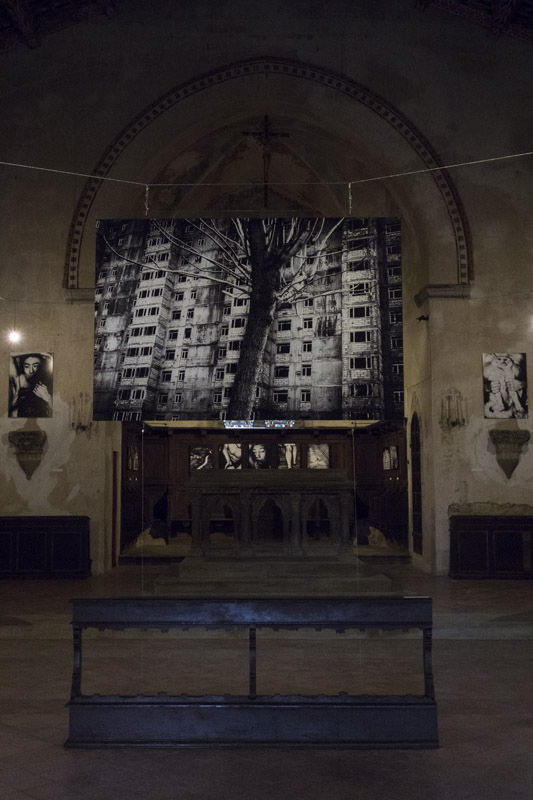 In Cortona, each of the exhibitions was set up basically perfectly, whether it was, say, Jacob Aue Sobol‘s work in an old church or The Sochi Project in an old disused hospital (see images). Some photographs would be pinned to the wall, others would find themselves in frames. Part of Anastasia Taylor-Lind‘s photographs were shown in light boxes on the floor. Large images of Mathias Braschler and Monika Fischer‘s portraits from China could be seen all over town. 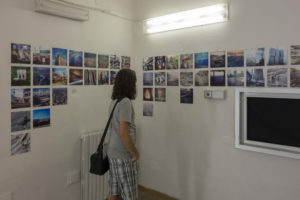 There was only one exhibition that fell woefully short of the high standard, and that was Goin’ Mobile, curated by Kathy Ryan and Scott Thode, a collection of photographs from the Instagram accounts of five photographers. There’s nothing wrong per se with lifting images off Instagram and using them elsewhere, the editorial and/news contexts being prime examples. 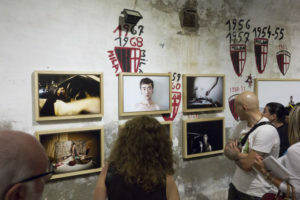 But the moment you put such images on the wall of an art exhibition as a curator you better realize there’s a higher bar. Those images better be able to hold their own weight. Sadly, most if the work in Goin’ Mobile failed almost spectacularly to do that. Just like in the case of probably 99% of all Instagram images, the maxim might just be: what is on Instagram should stay on Instagram. Those photographs can be enjoyed on tiny phone displays, all those pictures of food and cats and selfies (incl., of course, this author’s) and “unselfies.” In Cortona, I caught myself trying to swipe things away, just like on my phone, where what amuses me for a second is gone the moment after. But on those unforgiving walls, there was no swiping. Instead, each and every picture that didn’t hold up to more than a spilt second of scrutiny looked worse and worse and worse as time went by. As I said, what is on Instagram probably better stay there. An exhibition I particularly enjoyed was Alessandro Penso‘s European Dream – Road to Bruxelles. The story of refugees trying to enter the safe and wealthy haven that is the European Union, the photographs were displayed in a container on a truck. 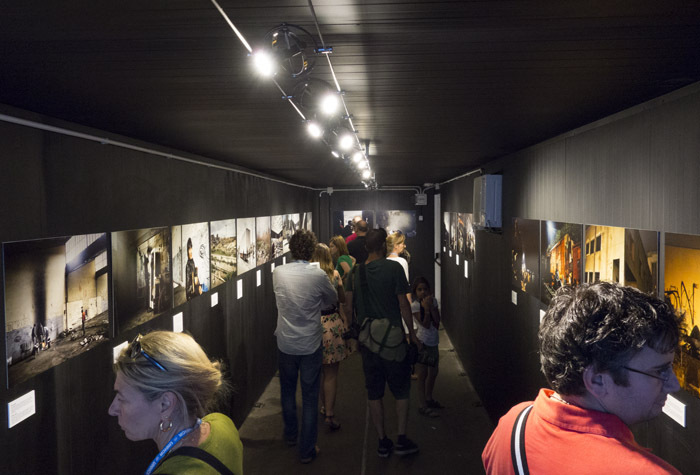 The truck itself was driven across Europe – an art exhibitions on the go. I just love this idea. What better way to get more people interested in photography than bringing it to them – instead of waiting for them to come? It’s about time we got art photography out of the Augean Stables that are museums charging $25 admission fees and high-falutin’ galleries catering to the rich! Load photographs on a truck and drive that truck around so as many people as possible can see and experience the power of photographs! 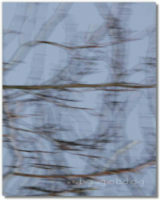 It’s not that I needed my faith in photography to be renewed. Unlike many people, I am thoroughly enjoying what might be photography’s golden age. 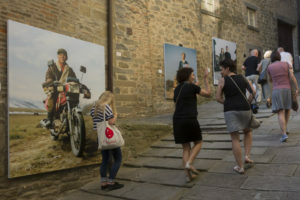 But COTM reminded me what can happen with photographs when they are given the best possible attention, to be presented to everybody who might be interested – all of that in a wonderfully easygoing atmosphere of a little Tuscan village. In part 1 of this series, I discussed two fairly uncommonly used ways to construct a photobook, the Japanese Stab Binding and the accordion. In the following, I want to focus on two more conventional methods. 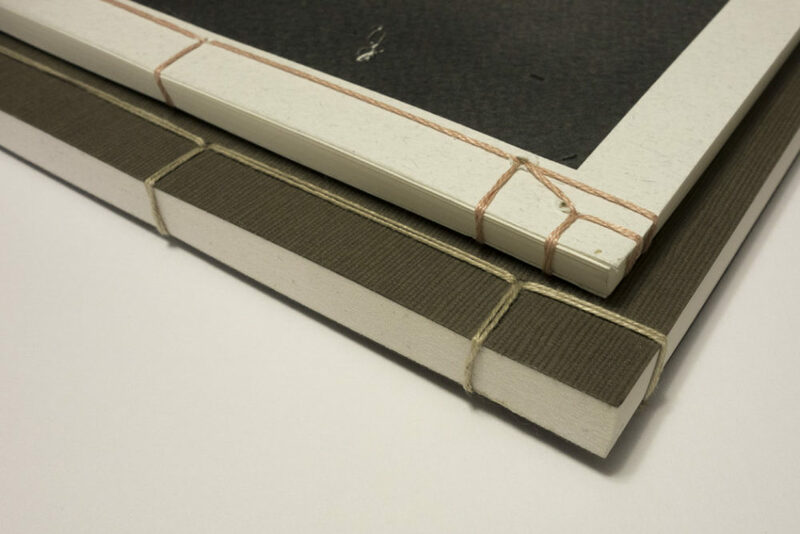 You’ll remember from the discussion of the stab binding that a book can be made by stacking a set of paper and by then fixing everything with a thread that is woven through holes (perfect binding replaces the holes and thread with a slab of glue). 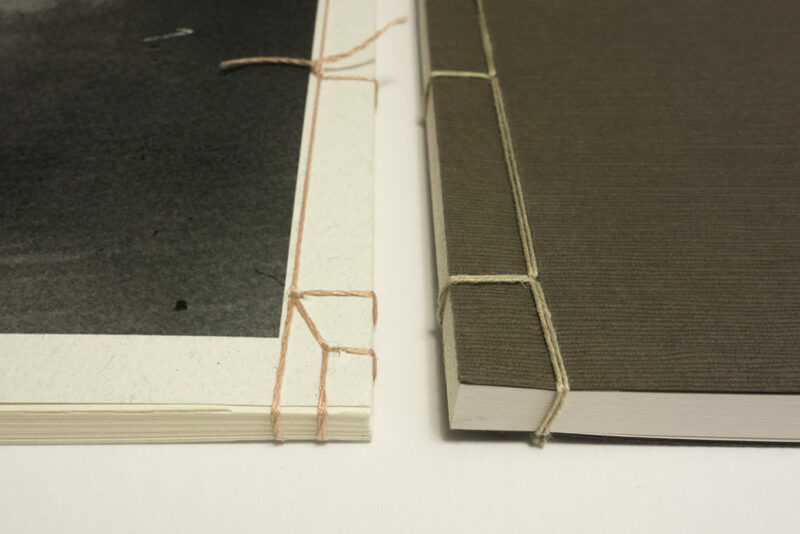 Another, very simple way to make a book also uses a stack of paper. 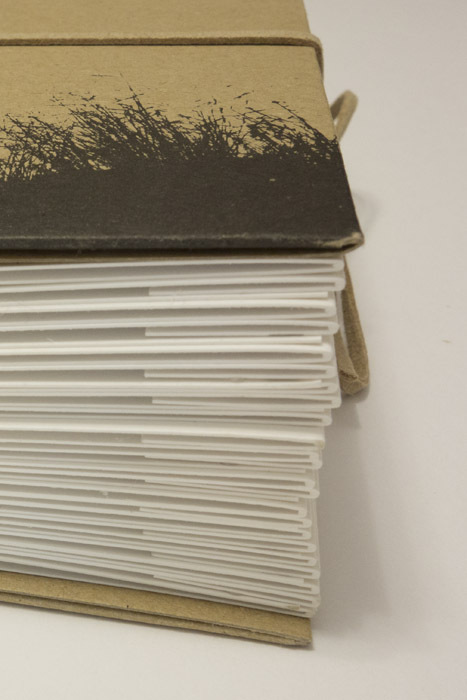 Instead of fixing everything at one end, the stack is folded down the middle, and the book is created by running either a thread or staples through the gutter (in reality, you don’t have to fix anything – think of newspapers): Saddle Stitching. 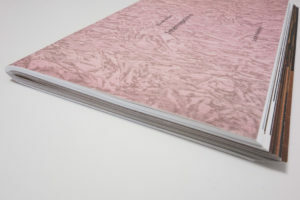 The binding aside, there’s a difference between Japanese Stab Binding and Saddle Stitching: if you add another piece of paper to a stack of paper, you get two and four additional pages, respectively. 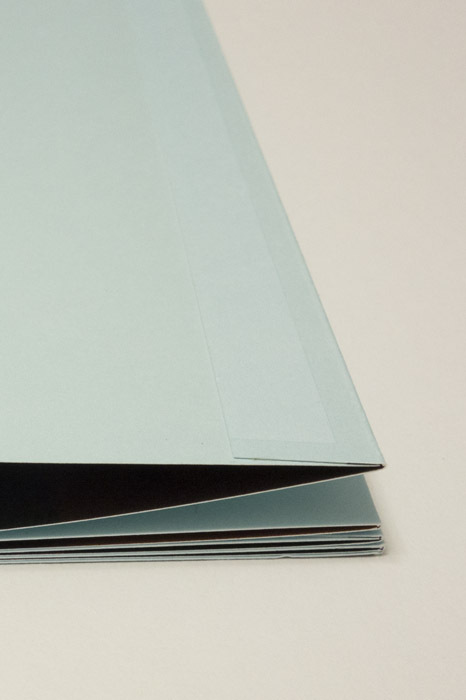 In the case of the Saddle Stitch, you get four pages because you fold the piece of paper in half (“folio”). This might not sound like a big deal. But when you make a book that is saddle-stitched, your total page number will be a multiple of four. There are other types of bindings that place similar limits on the available number of pages. 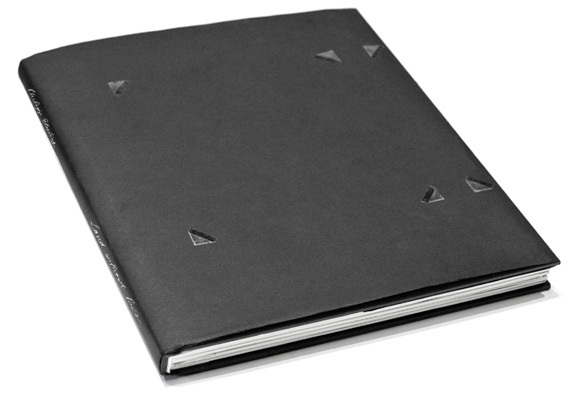 A great example of a saddle-stitched book is provided by Donald Weber‘s Interrogations . The book very clearly is the result of stacking a lot of folios on top of each other – at one end of the book, you see them bulging out. You don’t get to see this effect often, simply because most saddle-stitched books don’t quite use this many folios, and books are trimmed after the binding (you simply guillotine the edges to get everything straight). Another thing to note about a saddle-stitched book is that it doesn’t have a spine. 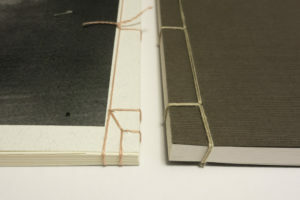 There simply is a thin line running across, which will either show you the staples or, in this case, the thread used to bind the book. Interrogations solves this problem by housing the book in a cardboard sleeve. One of the edges of the sleeve serves as the spine. 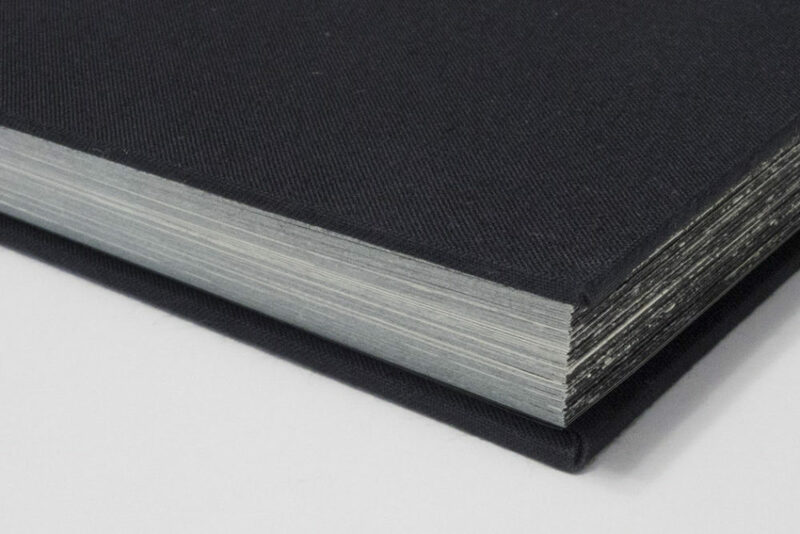 What is more, the sleeve also protects the edges of the book, at least to some extent. Overall, Interrogations comes across as a pretty rough book (please remember from part 1 that in this series, I’m mostly interested in making observations without value judgments being implied). The cardboard used for the sleeve is most basic and not overly sturdy. The book’s cover paper stock is textured and has a rough feel to the touch. 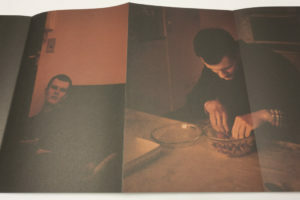 The cover’s pattern mirrors some of the backgrounds in the actual interrogation photographs inside, photographs many of which portray a fair amount of psychological violence. You probably wouldn’t want to make an overly precious book out of a subject matter that itself is rough. So the book’s form takes the material it is presenting into account. 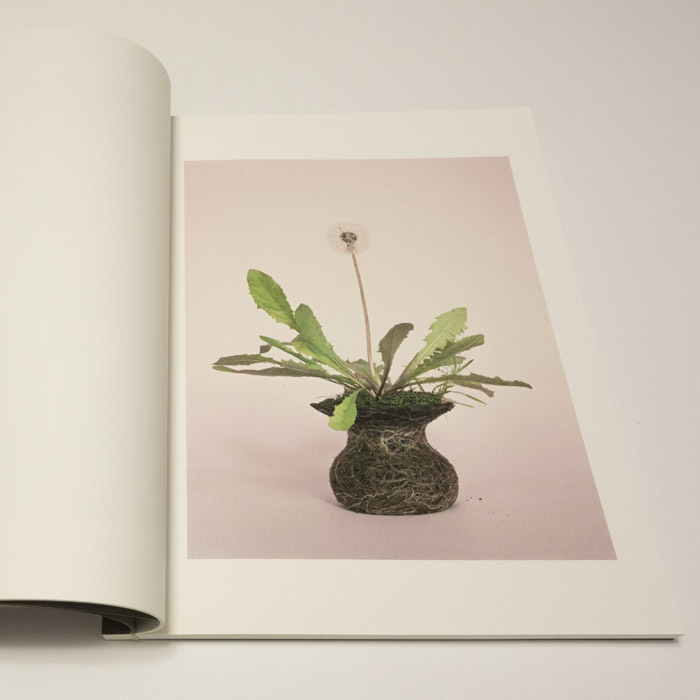 At the same time, given it’s somewhat unusual, the form also makes the book stand out from the crowd. 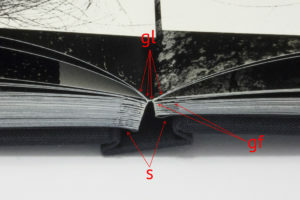 The second example concerns the use of gatefolds (which I already mentioned in part 1). 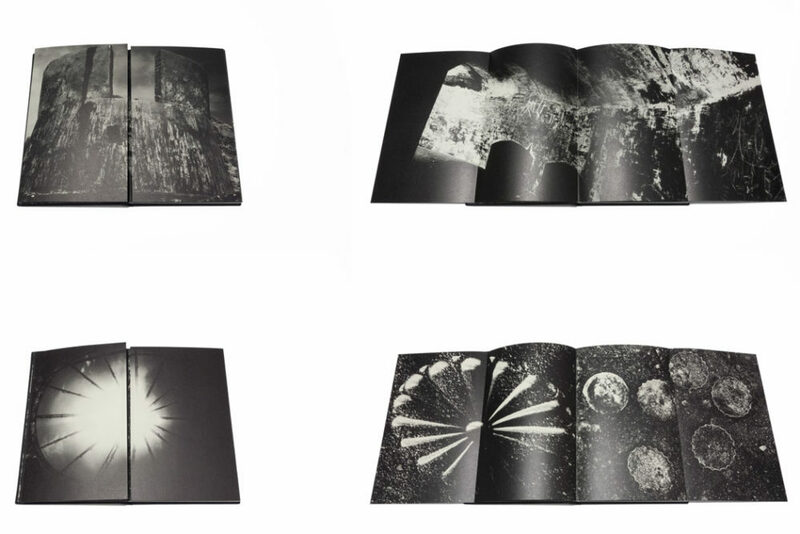 What better way to talk about gatefolds than by picking a book that uses them as much as possible, and by “as much as possible” I literally mean just that. This is Kikuji Kawada‘s The Map (rather the 2005 Nazraeli Press reprint, which, alas, is sold out). Almost every other spread in The Map uses gatefolds (I suppose one could construct a book where every spread had a gatefold – I’ve never seen such a book). 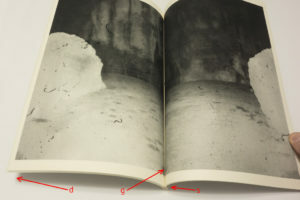 You open such a spread, and you see a photograph that is cut in half, showing the two closed wings of the gatefold (see images). Open the wings, and there is another, much wider image (which occasionally consists of more than one part). There are 23 gatefolds. One would imagine that having to open and close 23 gatefolds would be an incredible chore. It is not. 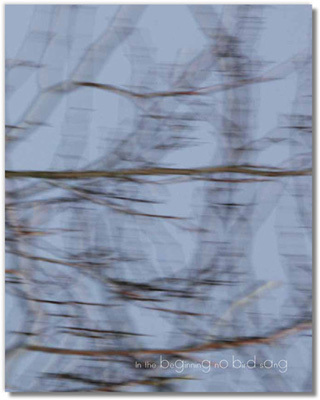 Instead, looking at the whole book becomes an almost meditative experience, as new images are revealed and then hidden again. In other words, the viewer’s engagement is part of the overall experience of the book. 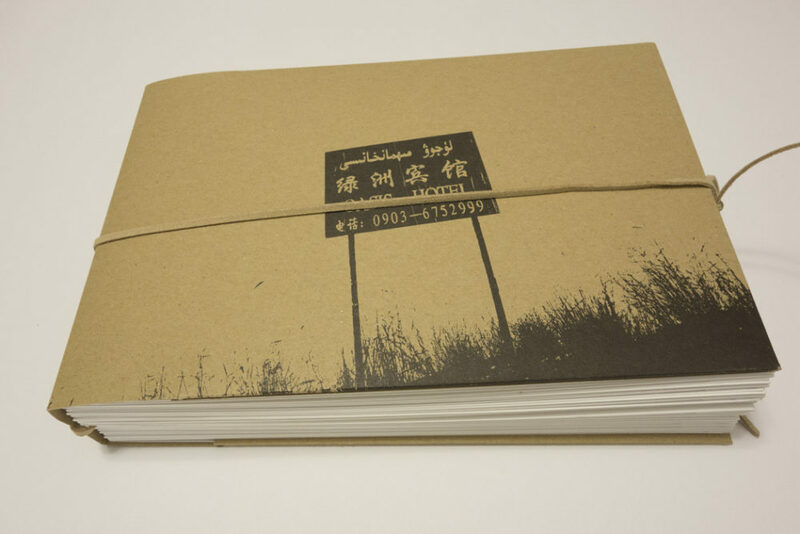 This is a very bold way to make a photobook. If you lose your viewers somewhere, if the viewers feel the physical aspect of looking at the book becomes too much of a chore, the book essentially fails. But The Map never fails. Every year, I present my copy of the book to MFA students as part of a photobook-history class; every year, the room goes incredibly silent as the students are being drawn in. It’s quite amazing actually. I don’t think any other book I’ve shown over the years has ever even come close to getting the same reception as The Map (another student favourite: Weegee’s Naked City). In terms of the construction, there are a few interesting details to note (see the image above for an illustration). 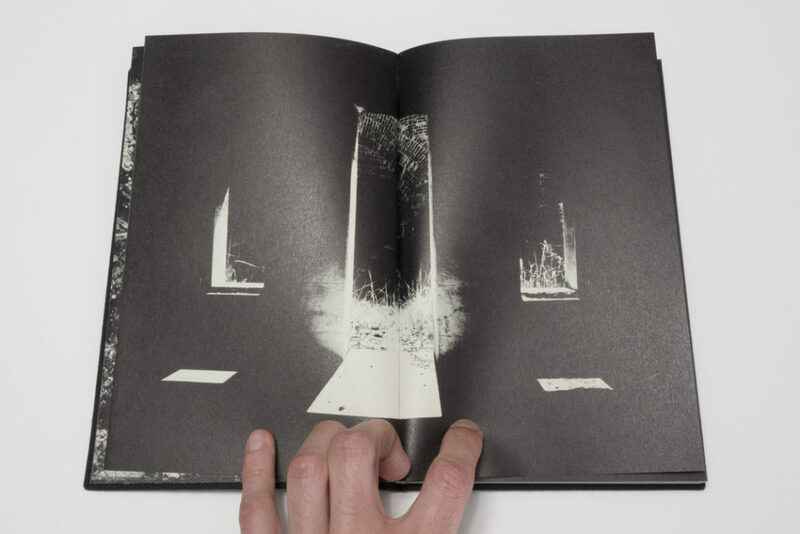 For a start, the book is constructed in such a way that the gatefolds open easily, and the book lies flat. You wouldn’t want the book to bulge up when the gatefolds are open, in particular since the best way to look at the book is to place it on a table. The wings are slightly shorter than the main pages, preventing problems when refolding them. This is an important detail as well – if you’ve ever had a book where a gatefold’s wing was too long, you know what I’m talking about. So the object is made in such a way that none of the possible problems that could arise from the format interfere with the process of looking at the book. Opening 23 gatefolds never becomes difficult or tedious; instead, the object allows its content to (in part literally) unfold itself in front of the viewer, drawing her/him in. It’s unlikely you will want to make a book that uses as many gatefolds as The Map. 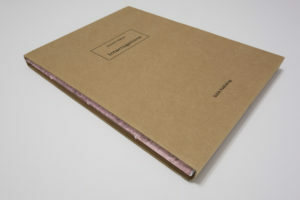 Each photobook requires its own solutions for what it intends to do. But then, maybe you do need a book with a lot of gatefolds. 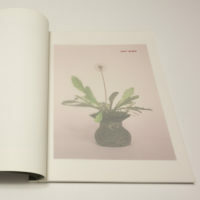 Or you need an accordion book, or a book that is printed on newsprint, without any binding (like a newspaper). 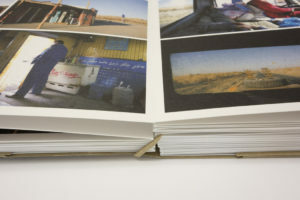 As I noted in part 1, the key to making a photobook always is to find the right form, a form that derives from the book’s function, which, in turn, is very closely related to the experience you want the viewer to have. I want to say this, though, and this is extremely important: Never, ever add something to a photobook simply because you think it’s “cool”. I see this all the time. If any of the elements your book’s form requires happens to be “cool” – good for you. If not, resist the temptation to add stuff the book doesn’t need. 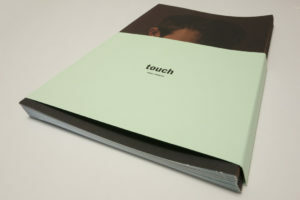 When making a photobook, it helps looking at other photobooks to see what might work. Books can serve as templates for other books. At the same time, given that photobooks (ideally) aren’t just templates, but fully realized books, it’s important to try to understand the possible decisions that went into their making carefully. 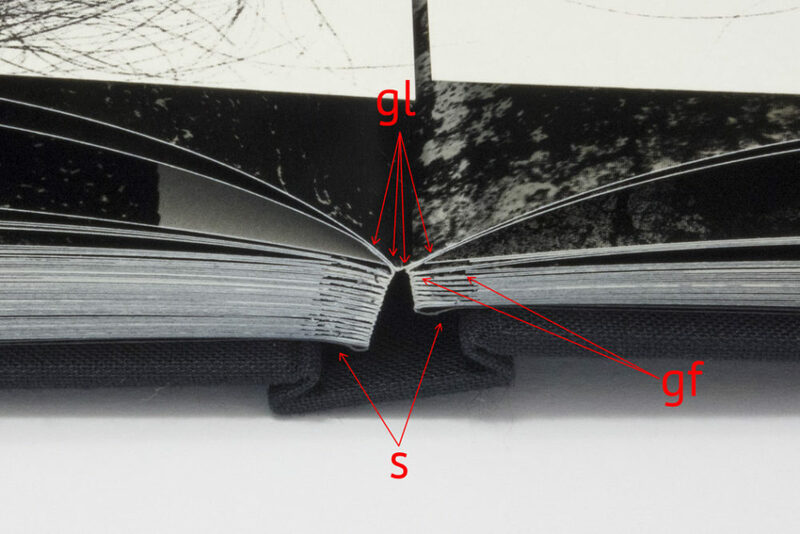 Reverse-engineering photobooks is a great way to understand them: What does this do? How does this work? How is this constructed? How does the form support the function? And what went wrong here (if there’s something that went wrong)? While each photobook requires its own unique solution, there also are a lot of things that boil down to personal preferences. It’s impossible to make the book that will make everybody happy. Compromises will have to be made, and you might have to give up on a few things you really thought you wanted or needed (for whatever reason). 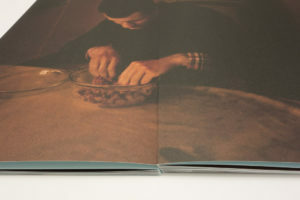 But photobook making, just like photography itself, starts with looking, in this case looking at other people’s books. Oh, and do yourself a favour and never, ever try making your photobook on a computer, using InDesign or whatever other tool you might love. Work with physical dummies. It doesn’t matter whether they’re constructed perfectly or not. 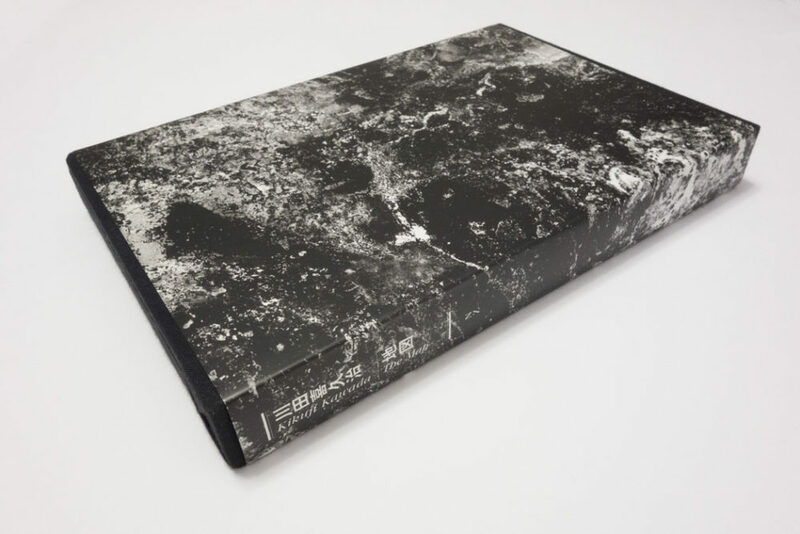 But you will see whether a gatefold works easily when you have a shoddily constructed dummy – try that on the computer, and you’ll probably fail. It’s fine to figure everything out on paper and then go back to the computer – doing it the other way around is almost certainly a guarantee for failure. It’s summer, and what better way to kick back than to sit on a porch or beach or in a cafe somewhere with a good book. Or photobook. After all, who says your reading material has to be literature? 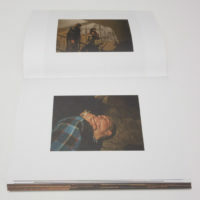 And maybe looking at a photobook in a public place might result in someone else having a peek? 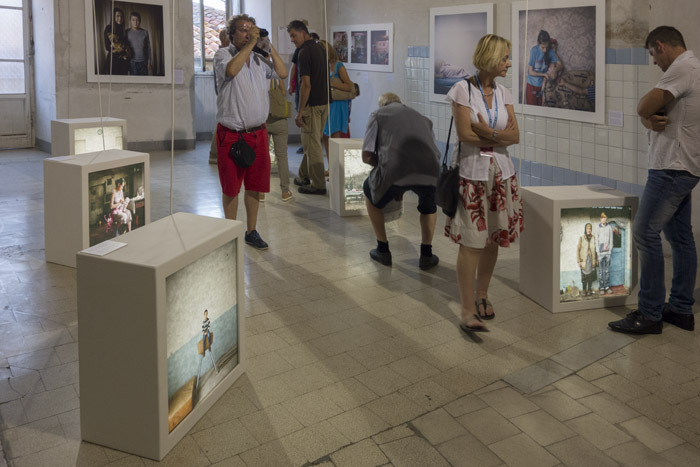 Isn’t it about time photoland emerged from its, let’s face it, largely self-imposed ghetto? 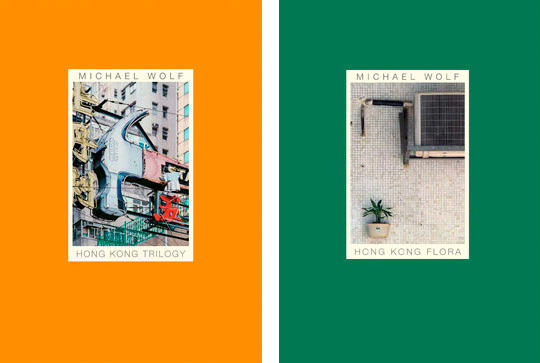 This week’s selection of photobooks covers a wide variety of work and publishing options. It’s also an attempt to reduce the height of the stack of to-be-reviewed books right in front of me. 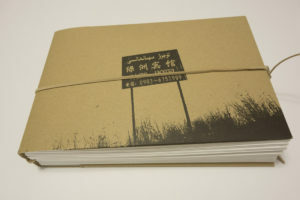 To produce a photobook about a particular place that will make the local residents happy is a thankless task. You might as well work for the tourist information office. As much as I understand the frequent complaints about photographers supposedly misrepresenting some place, whether it’s Appalachia, Detroit, or somewhere else, ultimately these complaints are based on misguided expectations, and on the idea that photography somehow – quite magically – accurately represents the world. It does not. By now – this is 2014 – we should have learned this. Even what the tourist information office produces is inaccurate in that it is little else than propaganda glossing over the not-so-wonderful bits. 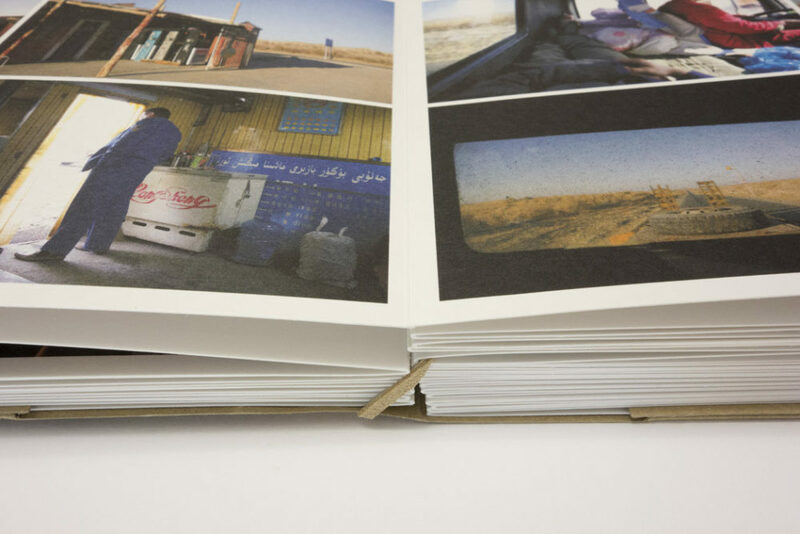 At the end of the day, a photobook about any place tells us a lot about its maker and, possibly, something about the location. Approached this way, photobooks have something to offer that tourist brochures lack: they’re an invitation to get challenged, instead of having one’s expectations confirmed. This then makes the creation of a photobook about a place a lot harder than it would seem, in particular if the place in question comes with a large number of preconceptions on the audience’s part. 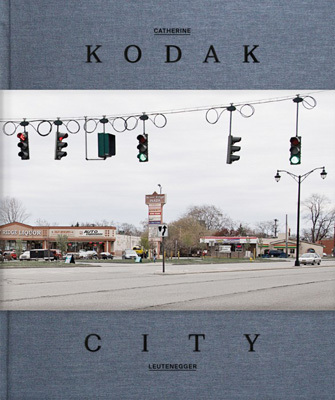 Rochester is home to Kodak, a company that doesn’t need an introduction. Without Kodak, the history of photography would have been very different, regardless of whether one thinks about the quintessentially American idea of “you press the button, we do the rest” or of films like Tri-X that shaped what pictures would look like (as a photographer, I still rely exclusively on Kodak film in the form of the Portra colour films. It’s possible and quite likely that in my life time, it will disappear). 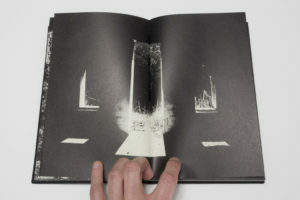 Catherine Leutenegger‘s Kodak City portrays both the company’s grounds and factories (or rather what’s left of them) and the city itself (ditto). The result is a little bit more complex than it would appear, in particular since the red thread running through the book is not unique to the combination of Kodak plus Rochester. There is a lot of mostly anonymous corporate architecture on display in the form of both buildings themselves and the way they are adorned inside and outside. 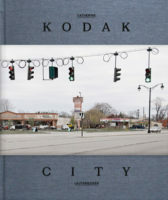 Kodak City is made to stand for any city that relied on a large corporation to get wealthy, to later enter a slow and steady period of decline as the company’s fortunes started waning. Seen that way, whether the book accurately or properly portrays Rochester (whatever that might mean) is quite irrelevant. It might, or it might not. What it speaks of very, very clearly, however, is the fate of large cities in an economical system that values “creative destruction.” Swap out film for cars, say, steel, or paper, and the book speaks of Detroit, Pittsburgh, or Holyoke (think of typewriters, and you get the German town of Wilhelmshaven, where I was born). 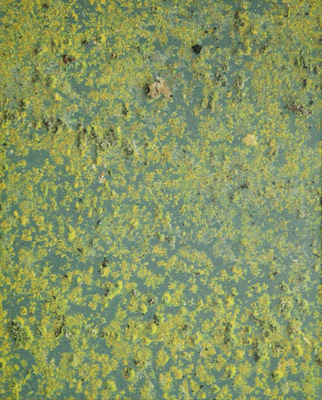 Using the specific to speak about the universal – that’s one way for photography to succeed. I’d like to think that I understand the impetus behind Philipp Ebeling‘s Land Without Past very well, maybe too well to be able to write a review. But then, much like art itself all reviewing is grounded in being subjective, with the idea being that out of it will come the universal, or at least something that allows others to make a connection. Here then is the essential challenge Ebeling has been facing: how do you connect with your home country if it is Germany – given its past, and especially given how people have so far been dealing with it? I’ve written extensively about German photography and its strange way of dealing with the past – there is a rich history of German (non-photo) artists creating work around the Nazi era and the Holocaust. But until very recently, or more accurately until approximately the fall of the Berlin Wall and the country’s subsequent reunification, German photographers were mostly silent about it (see my earlier pieces from 2010: part 1 and part 2). Photographers of my generation dealing with the past appears to tap into the larger topic of the group of people known in Germany as Kriegsenkel – the children of the generation that at the end of World War 2 grew up in the rubble, a generation that would rather rebuild a prosperous country than deal with its own hurt, let alone deal with what their parents did. So it seems appropriate that the dust jacket of Land Without Past has photo corners attached to it, most of which are empty. This mirrors what could be found in German photo albums – you get rid of the past in part by censoring your memories, and photographs serve as such. But the past won’t just disappear this way, in particular since on a societal level, Germans have been dealing with their collective past ever since. 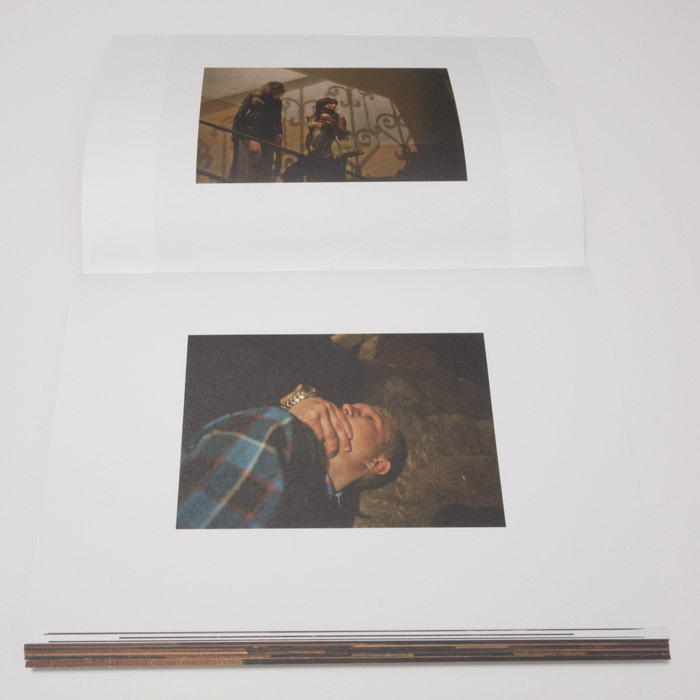 The book is an attempt by the photographer to come to terms with his own past. Ebeling stays close to his family, and he throws in all the right symbols for good measure, regardless of how much or how little they still mean: the German flag, carefree German youth, sausages in a soup… There is no resolving what cannot be resolved, and it is this realization that makes the book succeed for me. The land with its well-known public past whose citizens individually attempted not to have a private past is finally becoming a normal country, with all the successes and flaws such countries come with. Occam’s Razor essentially states that the simplest solution to any given problem is the preferred one. There should be a photography equivalent. In the case of photography, the simplest ideas for a body of work are often the most successful ones. Mind you, a simple idea does not necessarily translate into a simple execution. Often, the opposite is the case. But usually, the best approach to any given photography project is to keep it as simple as possible and to make it work. 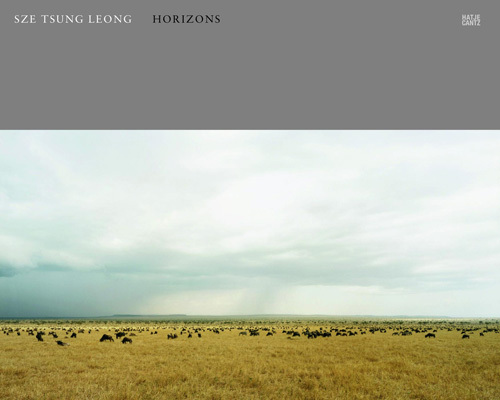 Sze Tsung Leong‘s Horizons provides a great point in case: landscape photographs done in such a way that the horizon line is always in exactly the same spot. For his series, the photographer traveled all over the globe, to assemble a massive and impressive body of work. 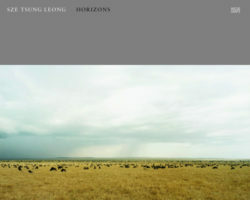 Horizons could (maybe should) serve as an example for photography students how, given the work’s level of consistency and quality – both photographic and artistic (no, those are not the same). 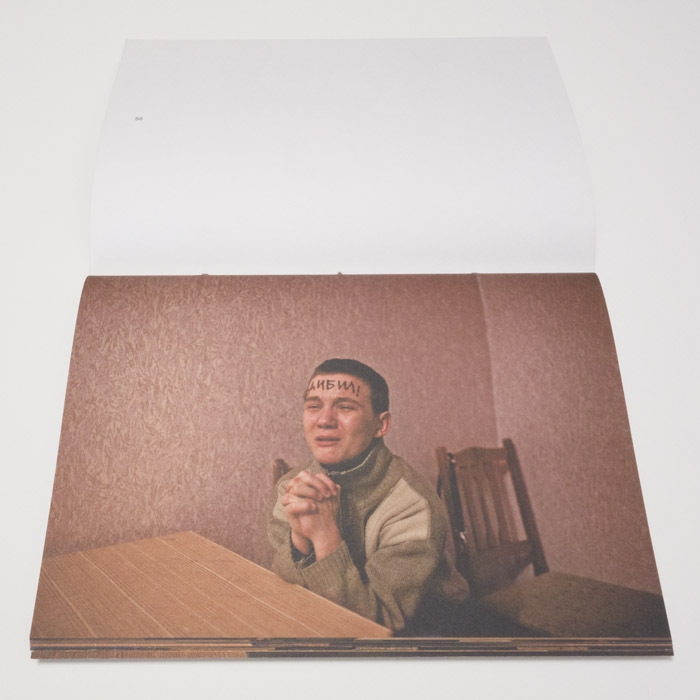 It’s tempting to think that with such a body of work a photobook almost makes itself. But the books that seemingly are the easiest to make require a lot of very careful work. You probably don’t want to just sequence the photographs willy-nilly. You also need to think about whether or how to use gatefolds – use too many, and the book becomes a hot mess, use too few, and they become almost pointless. All of these aspects were taken care of carefully, resulting in possibly one of the best possible presentations of this body of work in book form (maybe a bit conservative, but there really isn’t anything wrong with that in this case). A simple idea, executed and presented perfectly – there’s really nothing else one could hope for. Most people will pay attention to something if they have to, meaning they will inevitably ignore quite a bit. Per se, there isn’t anything wrong with this, given that sensory overload cannot be the ultimate goal in life. But how do we decide what to pay attention to and what to ignore? Our decisions are often thrown into sharp relief when we encounter people who differ quite a bit from us, regardless of whether it’s by choice or necessity. A blind person, for example, will inevitably be much more susceptible to sound (unless they are deaf). We are, after all, surrounded by sound just as much as by visuals. Sound, of course, almost never plays any kind of role in photography, because you cannot take a picture of it. 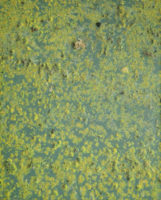 Compared with what sound can do, photography is a fairly anemic medium. Seeing a picture of a crying baby will hardly cause the same reaction as hearing a baby cry (even if it’s not yours – if you don’t believe me, just get trapped on a long flight with a fussy baby on board). All you can hope for as a photographer is to allude to the effects of whatever sound you’re interested in, a task made even harder if you’re not photographing crying babies but instead something whose sounds people mostly pay no attention to. Anaïs López‘s In the Beginning No Bird Sang does just that. The photographer had a blind man named Jean Poppers show her IJburg, a neighbourhood under construction in Amsterdam. Regardless of whether you find yourself in some new suburb in the US or in any one of those recently built neighbourhoods in Europe, initially there is very little to experience. Unless you have a guide like Poppers who will teach you to pay attention to the sounds. There are birds, for example, and they all sound very different. They even produce different sounds depending on the occasion (check out, to use an example I particularly enjoy, the Northern Cardinal). And pretty much everything else will also have a sound, whether it’s cars driving by, the branches of trees rustling in the wind, or whatever else. Thus the book “talks” about IJburg, and its birds, using Jean as a guide – small photographs of him cupping his ears are reproduced several times. In addition to landscapes and images of birds, there also are reproductions of wave forms for the various birds living there. Of course, the book does not achieve the unachievable. Even if you go to the artist’s website and listen to the audio files of the birds, you’re not going to get much closer to the auditory experience of IJburg. But I don’t see that as the book’s real goal. Instead, the book tells us something about a world that offers us much more than we often want to think. Hearing the different sounds can reveal aspects we previously were unaware of. As a book, In the Beginning No Bird Sang is a somewhat ambitious object, but I feel some of its aspects have maybe gone a bit too far. 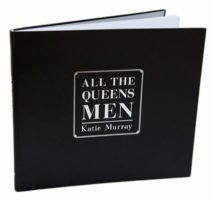 There are six dust jackets, each of which giving additional information. 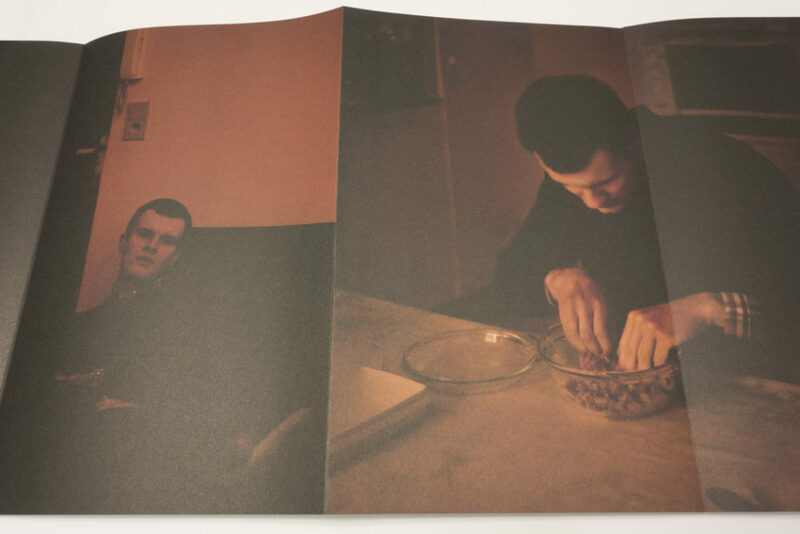 There are two gatefold pages that don’t add much to the book. Occasionally, I feel Dutch photobook making goes a bit overboard. But for this particular book, these are mostly minor quibbles.